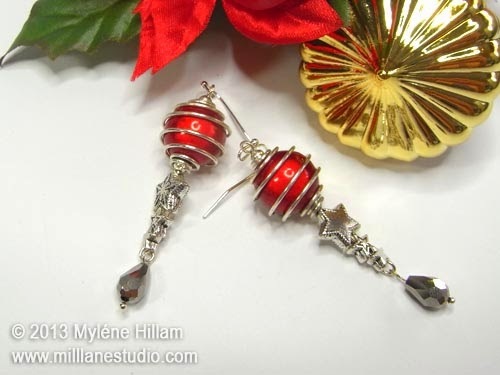 We're past the half way mark in the Twelve Days of Christmas Earrings Extravaganza already. Before we get into the second half of the challenge I thought we'd take another look at the first six designs. How quickly December is going. 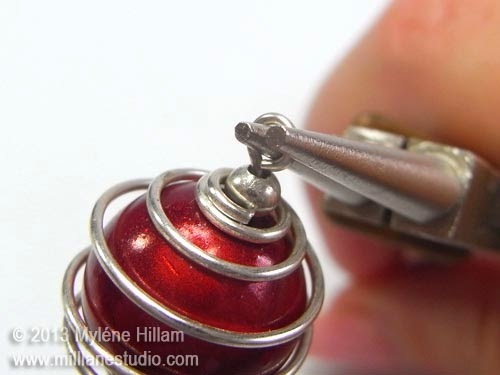 And with just over a week 'til Christmas, things are becoming hectic. 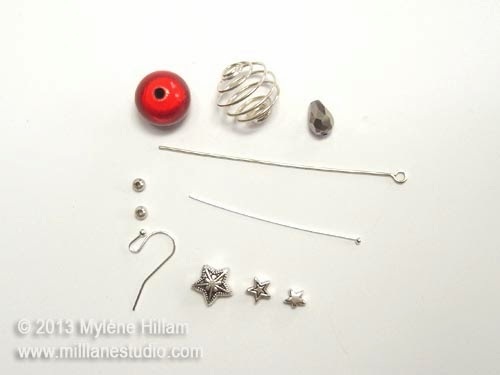 So today's Starry Ornament earrings are quick and simple to make. 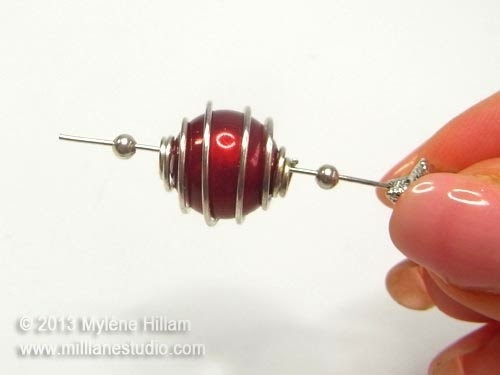 Open the centre of the cage bead and place the miracle bead inside. 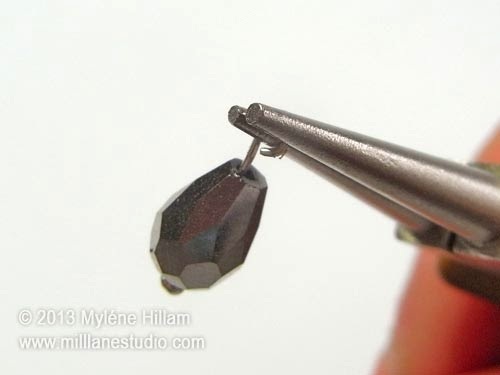 Locate the bead hole and use the needle tool to align it with the hole in the cage bead. 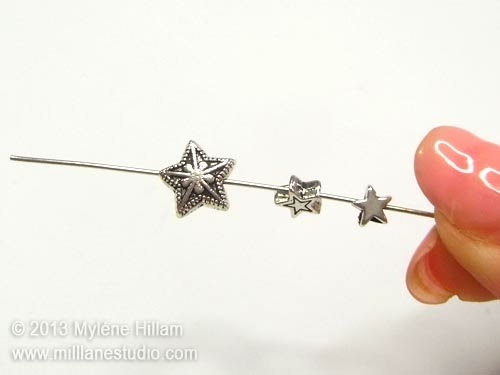 String the three star beads on the eye pin, bottoms first, in ascending order. 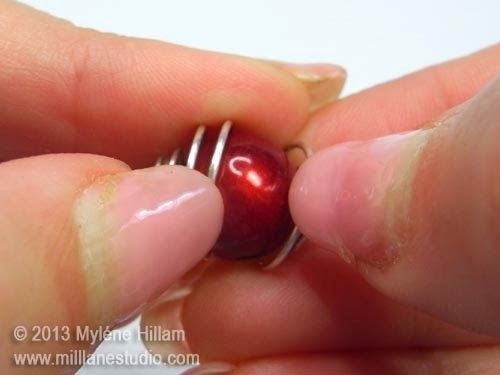 String a spacer bead, the caged bead and another spacer bead. 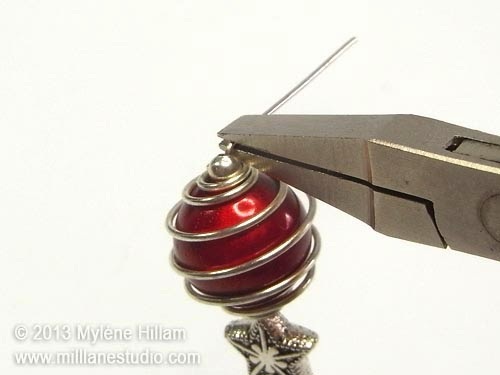 Bend the eye pin at a 90° angle just above the spacer bead. 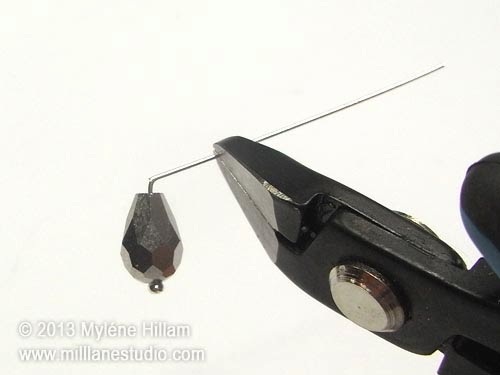 Trim the wire to 10mm (3/8"). 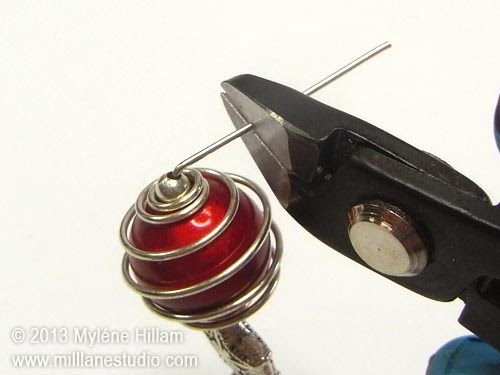 String the tear drop on the head pin and turn a simple loop following the images below. 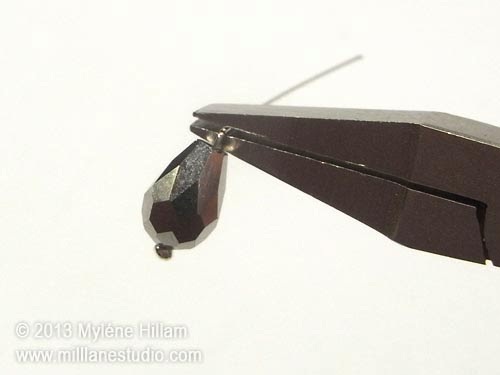 Open the loop of the head pin and attach it to the bottom loop of the eye pin. 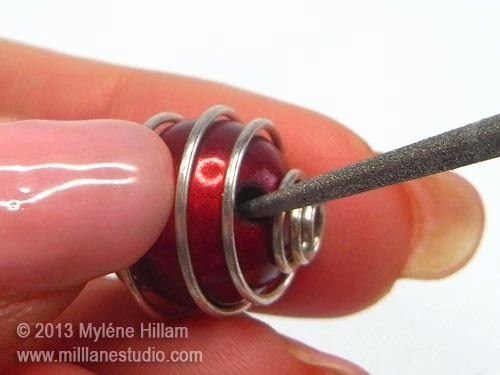 Hook the top loop of the eye pin onto the earring wire to complete the earring. 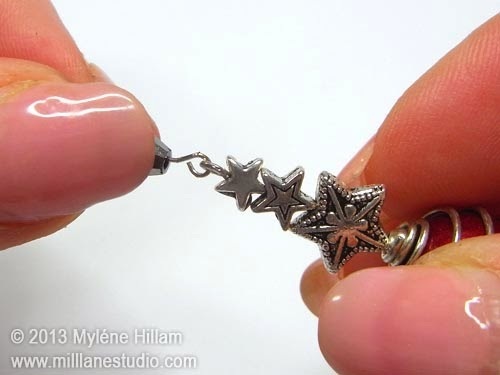 Make a second Starry Ornament earring to match. 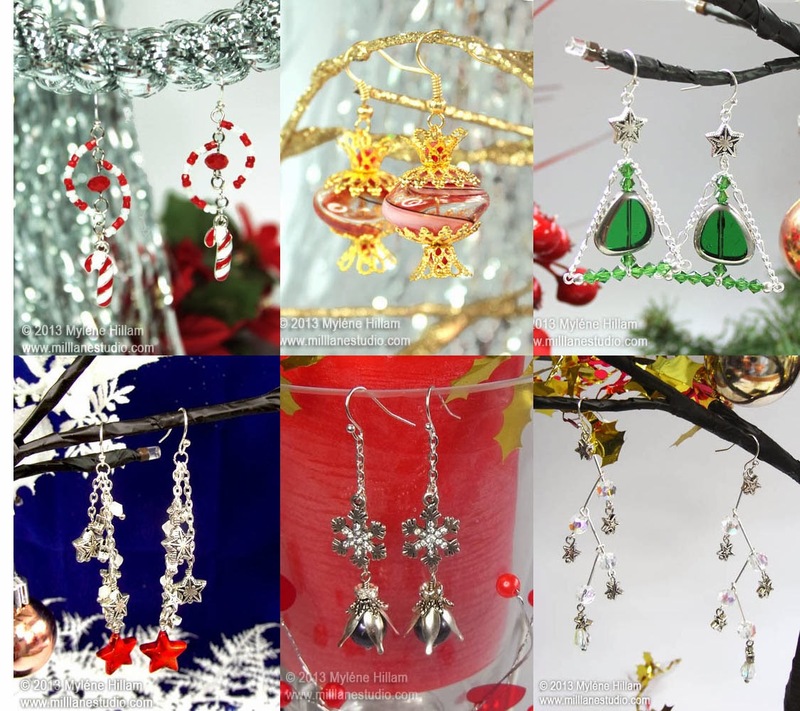 I'll be back again next week with more Christmas earrings in the Twelve Days of Christmas Earrings Extravaganza. 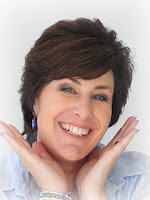 In the meantime, have a great weekend!